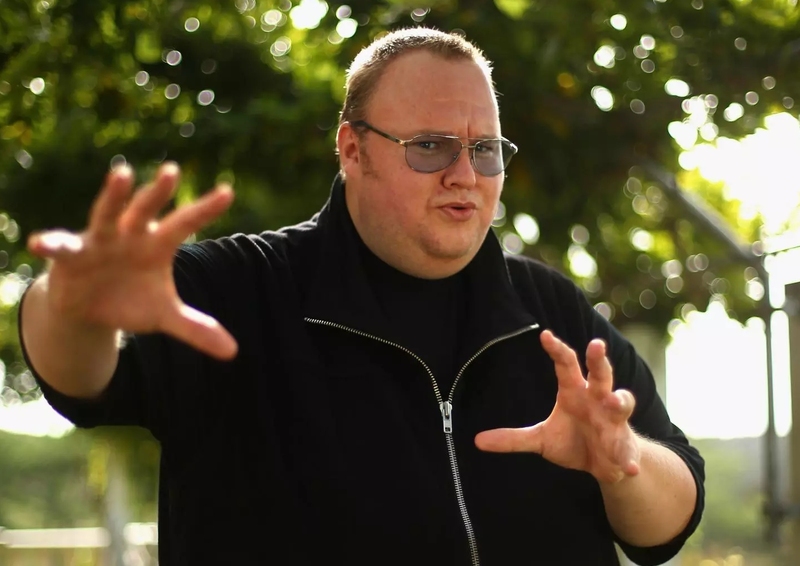 Internet mogul Kim Dotcom has lost his latest attempt to avoid extradition to the US to face charges associated with the operation of now defunct file-sharing website Megaupload. Rothken said Dotcom plans to appeal to the Supreme Court, the nation’s highest court. It’s been more than six years since police raided Dotcom’s Auckland mansion and took the larger than life Internet entrepreneur into custody. The Department of Justice said in a filing that Megaupload cost copyright owners more than $500 million in lost revenue and generated $175 million in income for its operators. He was released on bail a month or so after his arrest but has been fighting legal battles ever since. If convicted in the US, Dotcom and his former colleagues – Mathias Ortmann, Bram van der Kolk and Finn Batato – face decades behind bars. "As people will know, I am prepared to fight to get justice, whether it is for me or others. I will appeal to the Supreme Court. Just yesterday, the United Stated accepted that right exists. My legal team are confident that the Supreme Court will hear the appeal given there are such significant legal issues at stake. Many important cases in New Zealand are not won in the Court of Appeal, or in the Courts below, but are won when they reach the Supreme Court. My case will be one of them." His a$$ is so large, it can't fit through the extradition doors. senketsu and Reehahs like this. I can understand him getting in trouble for aiding piracy but to claim what he did resulted in lost revenue is complete supposition. How exactly does one prove that you lost a sale and it was a direct result of piracy? Either way, he should be liable to an extent because of his actions but the number I'm seeing exceeds more than 3 times what he made from ads and membership revenue. Surely there is a better punishment that doesn't stroke the ego of big entertainment. What? Now the U.S. has to feed this guy? captaincranky, senketsu and Reehahs like this. The next recession will result from. This. Yeah, trap the one person that was fighting for freedom of the internet. One day we will complain for being monitored and allowed to have only what the government decides but this day is not today so screw everyone fighting for freedom. If there are 8 places to get the same movie, 7 of them charge for it and 1 of them doesn't and has no legal right of distribution, and the attorneys can prove how many times that movie was downloaded from said site they have there claim. The number of times a file was downloaded and proving that downloading said file actually led to a lost sale are two entirely different things. In fact, studies have shown that the more pirated a specific piece of media is, the more sales it gets. If that's what they are basing it off of then they should be hitting them with illegal distribution. Otherwise there is no way they can present definitive evidence to a court that specifically proves that those individuals declined to purchase said media from a legitimate retailer. Do you realize how many of those downloads are doubles, failed, or legitimate buyers grabbing a backup? The only people a policy like that favors is media companies, as it allows them to collect money based on what is likely a very inflated number. I wouldn't be surprised to see the very studio itself hire a chinese firm to pirate the content millions of time to inflate the court claim. If all a judge needs as "evidence", what's stopping these companies from setting up ponzi schemes? Those arguments don't apply to Kim. Kim Dotcom is stupidly rich - and that money came from people obviously willing to pay for what they downloaded. The proof is Kim's mansion and cars. He got rich distributing/selling other people's property and the law is very clear on how illegal this is. The millions of dollars in Kim's bank account were earned because he was selling stolen goods. The media companies don't have to inflate the claims - Kim's riches are big enough. Much of that money was from advertisements though, so many people weren't willing to pay. You are trying to present a very complicated subject as something simple that it is not. "He got rich distributing/selling other people's property and the law is very clear on how illegal this is." No, he got rich by illegally copying and distributing copyrighted content. There's a BIG difference between that and stealing. Stealing implies there is nothing left after you take it. Digital data on the other hand can be copied unlimited times and the original will still be there. That's exactly why digital data works on rights, in which you either have the right to use it or not. In order to "steal" digital data you would have to take every single last copy off every single person's computer in the world, impossible. Insider trading is completely different. One party directly looses money while the other gains. This has a direct and easily verifiable effect. Who is the victim for insider trading? That's easy, the shareholders. Where do you think the money the perpetrating party gets comes from? The other shareholders of course. If the stock dips, everyone but the insider looses money, thus the correlation is plain to see. There is no such direct correlation when content is pirated. Someone doesn't loose money when you pirate something. The pirate bay even made fun of this inane concept by linking a specific popular album to it's homepage with a download counter asking people to increase the "court fine". Even though that album was pirated millions of time, it sold insanely well. Another great example is Game of Thrones, the most pirated TV Show of all time. Despite that, it had awesome sales. If you are going to pin accusations on someone at least make sure they are based in fact. Kim knowingly allowed distribution of pirated content and advertisers were culpable as well. That's what he should be getting in trouble for. Trying to say that each and every download equals a lost sale is a tired, un-nuanced argument that is rife for abuse. And the shareholders aren't the victims in insider trading. Their outcome is no different because of the inside trader. What if a stock goes way up? And the inside trader bought at the right time? Then everyone makes money. The shareholders sure aren't victims. You can say HBO didn't lose a penny because of GoT being pirated. No one really believes that 100% of the downloaders wouldn't have purchased HBO go, but even so... Intellectual property laws make it illegal for someone to distribute stuff they don't own. "to take or appropriate without right or leave and with intent to keep or make use of wrongfully"
In order to take or appropriate something you have to take the original and move it somewhere else. This means the original is no longer in place. This isn't a battle of physical items vs digital ones, it's a battle of stopping the use of words which don't correctly apply to digital items. "If I take a picture of the new plans for a machine my company is making and sell them to a competitor that's 'stealing'"
Nope, that's selling company secrets. Big different and the penalty for selling company secrets is much larger. You are perverting stealing far too much from it's original definition. "And the shareholders aren't the victims in insider trading. Their outcome is no different because of the inside trader. What if a stock goes way up? And the inside trader bought at the right time? Then everyone makes money. The shareholders sure aren't victims." The shareholders are victims. Why do you think it's the shareholders who sue for insider trading? Just because the cost of insider trading is spread across all the shareholders does not mean there isn't a victim. Fact, either the perpetrator is taking money from the same pool of money investors are in or investors are loosing money while one person of benefiting. Either way you look at it, everyone else looses money while one person gains. "A provision of the federal securities laws gives those who traded at the same time as the insider a right to sue for a violation"
In addition, amendments were made to insider trading law in 1988 to include those who were "proximately" harmed by insider trading, including the difference in stock price before and after the insider trading occurred. So yes, shareholders and investors are harmed directly by insider trading. It's clearly stated in the law. 1st off... stealing intellectual property is still stealing. I really can't believe we're actually discussing this. You're own linked definition had plenty of examples where people can 'steal' something without taking it somewhere else (as you put it)! Like a baseball player stealing a base - or someone stealing a kiss. You need to understand that if you make up your own definitions to words, then you can't have a conversation with people. How can we talk about what Kim did when we can't agree what the word 'steal' means.... even after reading the same definition?! Taking or using IP without permission is stealing. Here's a link... they even have a section on piracy. 2nd - the shareholders aren't always the victim in insider trading. The victim depends on the case. In many cases the 'victim' is the person who would have held the shares if the inside trader hadn't bought them. You're only considering the case where a stock goes down. When it goes up the shareholders aren't victims. "Stealing a base" and "stealing a kiss" are two perfect examples of english mannerisms. They are idiosyncrasies that took the word steal and applied it stylistically. "You need to understand that if you make up your own definitions to words, then you can't have a conversation with people." This is especially ironic because those examples you gave were created and re-interpreted, as mannerisms often do, the meaning of the words. How about we step back from these cultural perversions of the english language you are using and just go strait to the legal term. "Copyright infringement is the use of works protected by copyright law without permission, infringing certain exclusive rights granted to the copyright holder, such as the right to reproduce, distribute, display or perform the protected work, or to make derivative works." By definition, it's not theft. It's Copyright infringement. The link you provided is to a website that makes it's money off people hiring lawyers, it has an interest in calling it "theft" because it get more money that way but in fact they are not using the legal term, they are using a buzz word that gets people like you going. interference with copyright does not easily equate with theft, conversion, or fraud. The Copyright Act even employs a separate term of art to define one who misappropriates a copyright: '[...] an infringer of the copyright.'" The court said that in the case of copyright infringement, the province guaranteed to the copyright holder by copyright law – certain exclusive rights – is invaded, but no control, physical or otherwise, is taken over the copyright, nor is the copyright holder wholly deprived of using the copyrighted work or exercising the exclusive rights held." So legally the law recognizes the different between theft and infringement, regardless of your English diction choices. "Violation of a copyright is called infringement. Any unauthorized copying of the work is subject to an infringement suit and criminal charges." Clearly examples of culture's artful interpretations of the word "steal" do not overcome the legal definition that it has always been. "either the perpetrator is taking money from the same pool of money investors are in or investors are loosing money while one person of benefiting." In this case, a stock goes up because a company is about to do something and has knowledge of this that is gives to an insider. People who sell during the period that the insider had this knowledge knowing the stock price would increase are the victims as they loose money. A court will consider any equitable loss from investors during the entire period the insider had the information for review, typically using the difference in stock purchases and sales as a basis for damages. Those 'cultural perversions' are direct examples from the official dictionary page you linked!!! You don't get to decide what parts of a definition fit your purpose and forget about the others. What pool of money? There is no pool of money. Politicians on the left often try to tell us there is a 'pool of money' or better yet, and 'slice of the pie' to blame rich people for having 'all the money'. But it's not true at all... look at Tesla stock over the last week - do you think that company really made and lost millions every day? No.. the stock price is just what people think about the future, and the future is a guess. In this case, a stock goes up because a company is about to do something and has knowledge of this that is gives to an insider. People who sell during the period that the insider had this knowledge knowing the stock price would increase are the victims as they loose money. No they're not. Because the inside trader didn't do anything to influence the seller's action. The victim is the person who sold the shares to the inside trader who would have otherwise held them and therefore missed out on the price going up. And yet there are many dictionaries that admitted slang to their pages. So they used the fore mentioned mannerisms, and? It's the dictionary's fault you don't understand the under-lying meaning of the word? Regardless, none of this rebukes any of the legal definitions or court rulings. All you are doing here is side-tracking the argument to avoid trying to tackle the fact that you can't disprove what is written in law. I will consider any further debate off track that doesn't tackle the legal definition as you conceding the following: The definitions provided by wikipedia and the legal dictionary without a doubt prove that what occurred here was copyright infringement and not theft. Oh boy, let me go get my chalk and take your seat Micheal. When referring to companies and investing in them, there is only one thing a "pool of money" could be. It's the company. 2nd, stock price is combined of implicit and explicit value. If explicit value decreases, then yes the company looses money. If implicit value decreases, the company may loose money but not directly. FYI if one wealth class controls a majority of the wealth that it's a problem. Aside from the fact that low and medium wealth people drive the commodities markets, the rich of any society are the product of the environment they are in. For example, you cannot just move to a random island within no country and become rich. Why? Because without a country you can't even issue money, let alone trade it for anything. The rich directly benefit from the people and services around them like roads, public education, and the police. It would be like Elon Musk being born in Kazakhstan. He never would have had access to the necessary high skilled workers and infrastructure to setup Tesla in that country. You can debate this but it's pretty clear in the links I provided that you're wrong. I think I'll trust the words of a federal judge over you. If you want to, in your own words "decide what parts of a definition fit your purpose and forget about the others" be my guest, it won't change any of the evidence I've provided thus far. So I'm guessing that because you are no longer talking about "stealing intellectual property" that you concede that point? I'm not seeing your response here. I certainly hope that first paragraph nitpicking mannerisms wasn't it. You started off by trying to convince me you didn't need to physically move something to steal it, and now you want to have a different discussion about whether what Kim did was copyright infringement or IP theft. That's not how we started. I don't know if you intentionally changed the subject or what... I don't really care if what he did was copyright infringement or IP theft - either one is illegal and will land him in jail. You started off by saying he wasn't guilty (of theft) and now are trying to convince me is guilty - just of something slightly different. Fine - you're right - he's guilty of copyright infringement - I hope he enjoys prison. Oh boy, let me go get my chalk and take your seat Micheal. When referring to companies and investing in them, there is only one thing a "pool of money" could be. It's the company. 2nd, stock price is combined of implicit and explicit value. If explicit value decreases, then yes the company looses money. If implicit value decreases, the company may loose money but not directly. 1) When you talk down to someone - at least spell their name right. 2) There is so 'implicit or explicit stock value' I've worked in the industry for years, but because I was curious and also hopeful that I could learn something new... I looked it up. When you search Google for 'Implicit Stock Value' it thinks you mean "Implied Share Price" A stock price is is the present value of a company's future cash flows. Those future cash flows are of course a guess, and that's why stocks can move drastically without the company actually doing anything different. If by implicit you mean it's already occurred and therefore won't change - then I'd respond by saying that idea doesn't apply to stock prices. And again - since we can't agree on the base of the argument, it's hard to go any further and talk about insider trading. Oh no, he's definitely guilty of many counts of copyright infringement and illegal distribution. Implied and implicit are the same word, just conjugated differently (implicit is present, implied is past tense). You could use either to describe it.